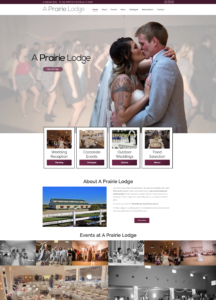 See the transformation from an old website into the new. Duplicate content from two previous websites was found and the URL wasn’t changed correctly. 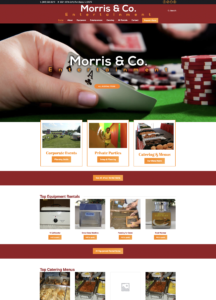 Details about Morris & Co.
We transformed an outdated website into something the owner is now proud of. Duplicate content from two previous websites was found. 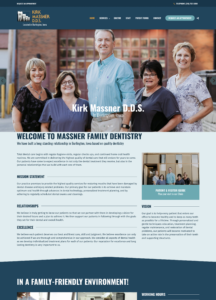 Massner’s non-mobile-friendly website and non-search engine optimized site was the reason for this company losing out on potential new patients. Redesign of the Bakeris Family Chiropractic Clinic website by Big Ten Web Design. They are now able to be found locally online with this new website. 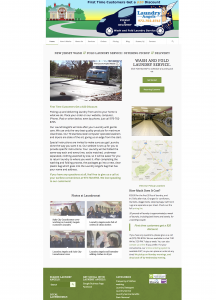 See the transformation from an old non-mobile-friendly website to a modern site that can be found online. 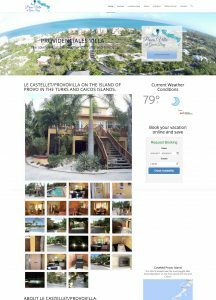 This “by owner” villa located on Providenciales, the main island of Turks and Caicos Islands, is often used for a landing page to advertise this beautiful place. This wash and fold Laundromat in New Jersey couldn’t be found online. We fixed that for them. 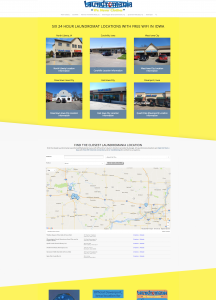 New and Used Tire Sales company needs a budget website in a short amount of time. 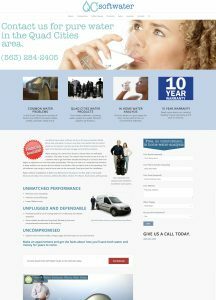 We provided this low-cost website. 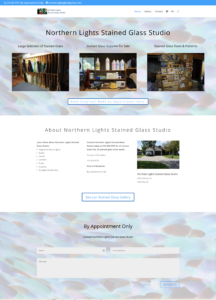 Northern Lights Stained Glass Studio was looking for a low-cost solution to a hibu designed website. Read more about our solution. QC Softwater is Davenport, Iowa’s premier Kinetico water softener dealership. 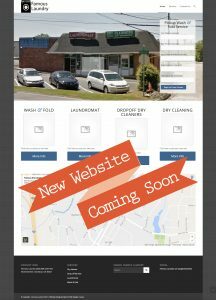 This redesigned website has helped with gaining new clients in the area. 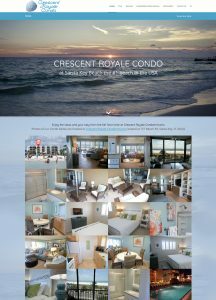 This “by owner” vacation rental property in Florida has converted several couples into staying at this location. 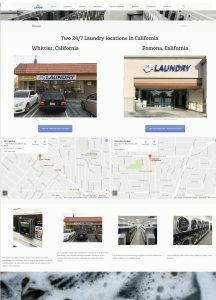 The owner of this Laundromat chain in California has seen an increase in foot traffic and its bottom line with this new website. 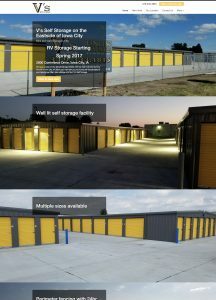 The owner of this self-storage facility in Iowa City, Iowa has a competing storage company right next door. In order to increase business, we redesigned and fixed some major SEO issues with the previous site. 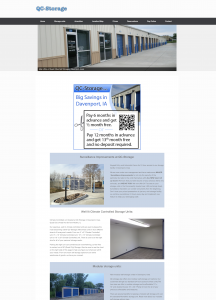 The owner of this self-storage facility in Davenport, Iowa needed to make sure that this location could be found fast after making multiple costly improvements to the facility. 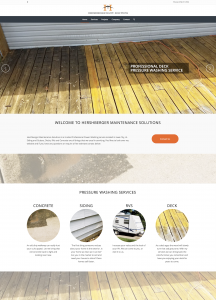 The owner of the maintenance and pressure washing business in Iowa City decided that his Wix made website simply wasn’t bringing in the business. So he switched to GoDaddy, then to a Big Ten Web Design’s website. Let’s just say third time’s the charm! 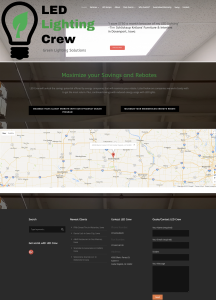 This was a new site for an LED installation company located in Iowa. It resulted in a major increase in business for them. 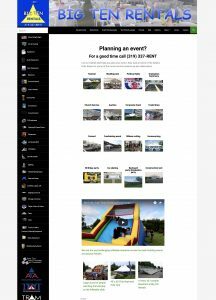 Big Ten Rentals is a large event rental business in Iowa City. This site has thousands of pages and does millions in revenue. 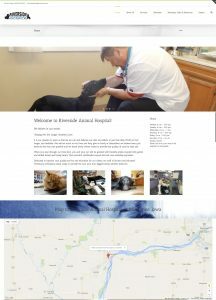 This Muscatine, Iowa Veterinary clinic doesn’t have the easiest name for SEO, but we helped them be found in and around Eastern Iowa. 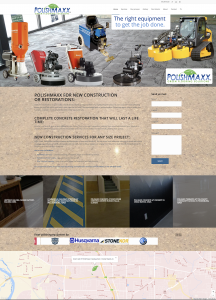 PolishMaxx couldn’t be found online by potential customers. Now you can Google “Concrete polishing in Iowa” and you’ll see them. Looking to sell that used arcade game that has been sitting in your basement or storage unit for years online? 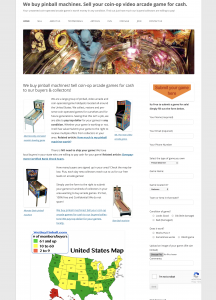 Odds are Google will tell you to visit WeBuyPinball’s website! 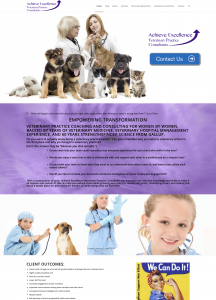 This amazing veterinarian decided to start a “veterinary consultation firm” that helps women new to the industry. This small Laundromat in Clarkston, Georgia is undergoing a major business rehabilitation. The new owner contacted me because he has heard what I’ve done for other Laundromats. 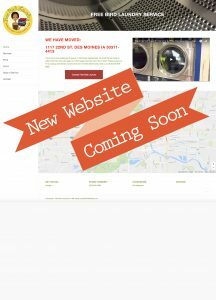 The website for this wash and fold laundry service located in Des Moines, Iowa is currently under construction. Check back soon.